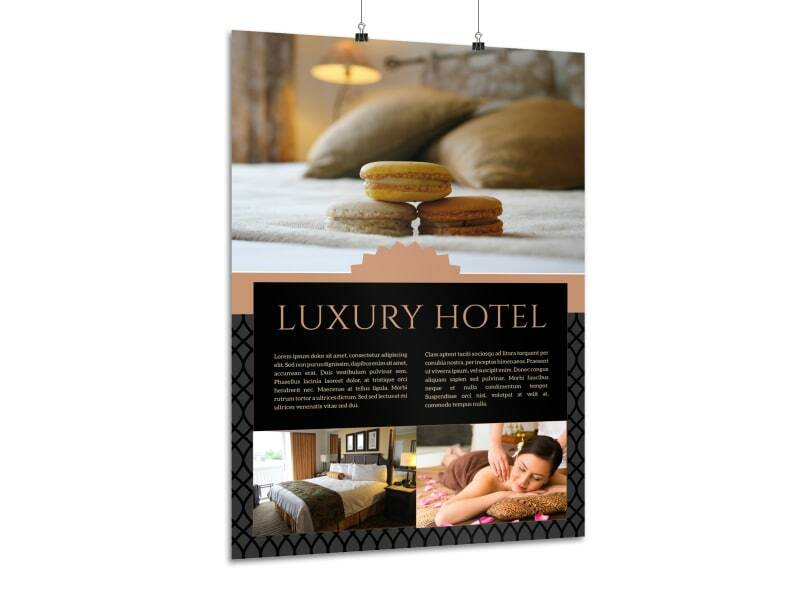 Customize our Black Luxury Hotel Poster Template and more! 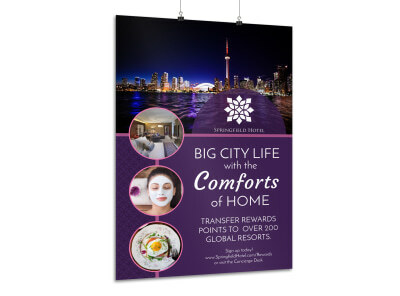 From your infinity pool to your five-star suites, you’re proud of your hotel, so showcase its highlights with this custom poster. 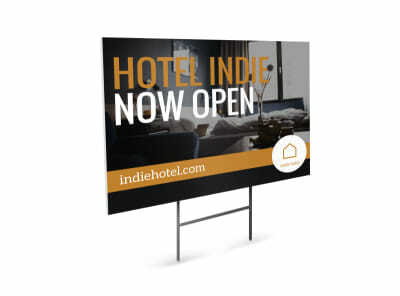 Let your imagination be your guide as you design your poster, heading images, text, and more to bring your design to life. 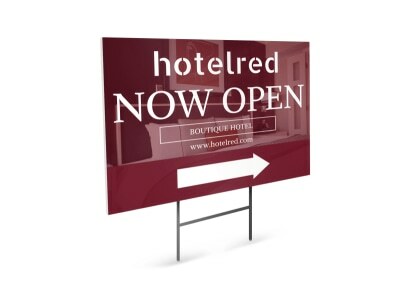 Once your poster is ready for print, print it yourself using your own equipment or allow us to do it for you for a professional finish.